Often in the winter, I like to layer dresses. Not only does it keep you warmer, it changes one dress into a totally different look. I like to keep my wardrobe feeling as fresh as possible... once I start feeling bored, I end up buying things I don't really want or need! Today my mom came to town, we had a two hour window of winter wonderland where it snowed like crazy, and now I'm eating pizza in bed. Today gets two thumbs up! I love your outfits! They are so pretty and simple yet classic. I love those tights and the coat is gorgeous. I love the coat and the tights so much, so gorgeous. Those glasses look great on you! So pretty. om my, you are just the prettiest, most buttony human evar. I love this outfit! Your dress is so pretty and those tights are amazing! Hi Katie! I found your blog this week, and I love it. Your kids are so cute, and your hair is amazing. Your outfits are amazing too. Congrats! I love snow too, but here we haven't it. And I never saw snow! =( But I know I'll love when I see it. 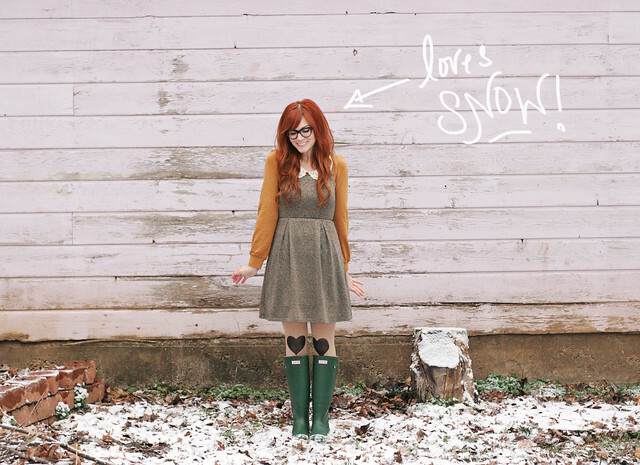 totally adorable boots and your heart tights are beyond adorable! Adorable look! I love your dress, and great idea layering dresses for the winter! your personality is just as lovable as your style! and it reflects on your family completely! it's snowing here right now! i am the most happy! this outfit is the cutest thing i've seen all day. I love that whole outfit! So adorable. And Yay for mom's coming in town and pizza in bed! Sounds perfect. :) Hope you have a wonderful weekend. I have these tights! I'm obsessed with them! you are adorable!! So creative in every way! I love those tights!! So cute. I love this outfit! :) Your style is amazing! That coat is a dream and I love the heart leggings too. So cute. Love this outfit. I usually add long sleeve tops under my dresses too! You are darling! Love the heart tigths. Those tights are amazing! I also really like your glasses - they are so different! It certainly sounds like you had a great day! Pizza in bed?! That sounds like the best day ever. Your outfit is just darling, I just adore those heart tights! i love the heart tights! Soooooo cute!! I also love the collar and the way you layered the dress! I love that you've layered two dresses! What an awesome idea. I'll have to try that sometime. Such a great way to remix your clothes. I really love the yellow dress underneath the grayish one. Your red coat is gorgeous too. And those heart tights are adorable! I layer shirts or sweaters under a dress, but never thought of layering another dress! Do you know "the smock"? It's a dress especially made for layering, since it's versitale in width. You can download the pattern for free under http://smockshop.org/. I made one for myself and it actually works!The pattern itself is quite simple, but easy to dress up - i added some 60's details and really love the result. that coat reminds me of little red riding hood... OR Snow White. I love it. Everyone already said it but I have to say it too! You are beautiful and you have such a nice way to put personality into your style, it is pretty and inspiring! That red coat is to die for! I like all your photos. Your shades are cool and quite fashionable. You are looking very nice. You are so lovely! 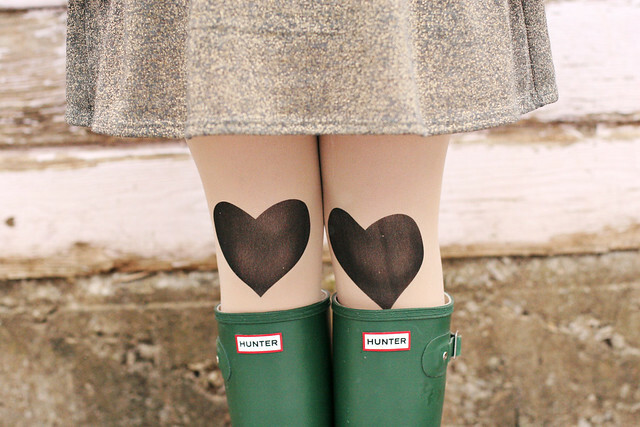 I love your hunter boots. :) SO cute!! 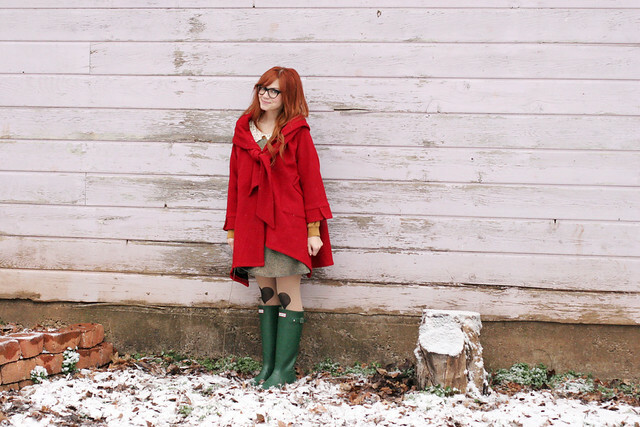 I kinda really really want that red coat, but I am not sure if I can pull it off like you can. Can I find that coat anywere else? Or a look a like? I love that you are wearing two dresses! I don't know why I never thought to do this. It's like a slip! ... genius. 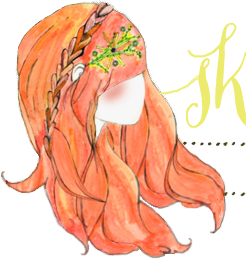 Plus, I am loving your hair color. Love the whole thing!